In a country like India, food is an integral of part of its culture. Not just a part of our culture, the Indian foods creates a special place in the heart of anyone who tastes it. And as a food lover, or should we say, foodie, we have a soft spot for our chefs as well. All right, in this article, we will talk about these Food legends, the best Indian chefs, who never let us get tired of everyday Indian foods. Because of these food revolutionists, our moms make finger-licking food every day. But before we start knowing some less-known facts about our favorite chefs, let’s talk about Indian food. To be honest, in India, there is no limit in the variety of food. Every house has its own secret recipe. Maybe the variety and kaleidoscopic food range inspired these best Indian chefs to innovate new recipes every day. After all their hard work is beneficial and tasteful for us, right? All right, let’s talk about our favorite Indian chefs. Please be honest, from the beginning of this article this name was roaming around in your mind, isn’t it? 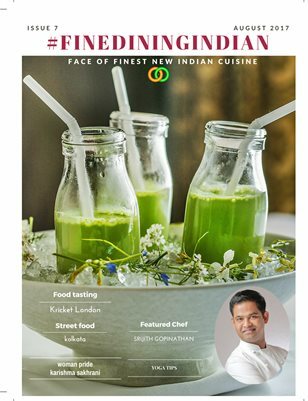 He is the face of Indian culinary. Remember “Khana-Khazana”? Who doesn’t? Remember the way our mom or sister used to get ready with their pen and diary to note down all the ingredients and recipe right before the show started? Well, this is how this show and Sanjeev Kapoor made a special place in our house and hearts as well. Now, let’s know some facts about this master chef. You really want to attend the Sanjeev Kapoor’s party. Because my friend, he does not repeat dishes at his parties. Yeah, we can feel your excitement. His restaurant chain is called, “Yellow Chilli.” One more, he has a media company in collaboration, and it is called “Turmeric Vision Pvt. Ltd.” Have you ever seen such love for spices? Man, he really loves what he does. Of course, we love him for what he does. We all know that Sanjeev Kapoor has written lots of books on Indian food. Some of them may be on your bookshelf. But the question is, how many books has he written yet? 10? 20? 50? No… He has written more than 150 books! All right, people, it is time to shop some culinary books. He has been honored with Padma Shri. It is India’s fourth highest civilian honor. Time to be proud of him. So, people, this was a little something about the most lovely and humble master chef of India. Want to guess, who is the next? Yeah, guessed it right. But don’t be too happy. We think we have given too much information in our hint. Too many awards, Michelin Starred, Chef, restaurateur and cookbook writer. This is what the Wikipedia says about him. And what we say about him? “We love the way he looks, and we love the way he cooks.” This is it. It is time to talk more about this Indian Culinary Wizard disguised in an attractive persona. What were you doing when you were 17 years old? Well, Vikas Khanna established his first banquet and catering business when he was just 17 years old. He had only 15000 Rupees at that time, and he had to sell his sweater too. This man truly deserves our respect. It really matters where a person is trained. That is why, Vikas Khanna trained among the expert chefs of Taj Group of Hotels, Leela Group, Oberois and the list goes on. Even being a modern Indian in western countries, Vikas has his roots deeper in spiritual plane as well. His documentary, “Holy Kitchens” is about his exploration of spiritual foods which give us shared identity. Wow, we love him even more now. Now comes the cutest part. Do you know from whom he learned all those Indian cuisine intricacies? Her sweet Grandmother! As an Indian, we all shared some special bonds the women of our families. Vikas is not an exception at all. He loves to do charity. He is the goodwill ambassador for ‘Smile Foundation,’ which tries to fight against the cause of malnutrition in India. He is a great self-made chef. Believe it or not, he is 46 years old. Sorry ladies, he is married. So this was some exciting and spicy facts about most cherished Indian master chefs. There are some more in the list of Best Indian Chefs list, but we will cover them in our next article. We hope that you love this article. Stay tuned for some other magnificent food articles.